Imagine having a romantic wedding with an amazing 6-foot waterfall behind you! This charming private ceremony and reception location is perfect for an intimate wedding and reception! After, you “I Do” you will continue your wedding celebration with your reception indoors in an adjoining private elegant banquet room! 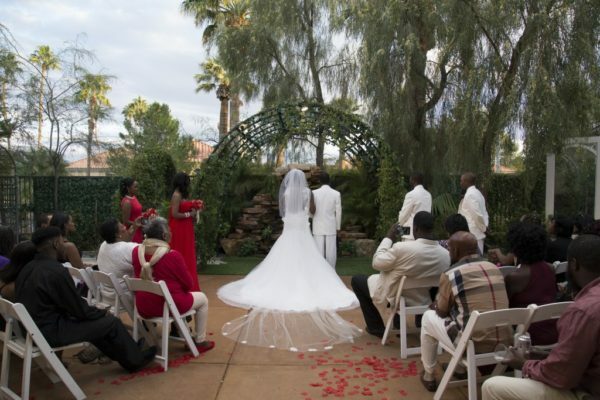 This ceremony and reception package is for an intimate Waterfall Garden wedding and includes the ceremony and reception at the same venue. 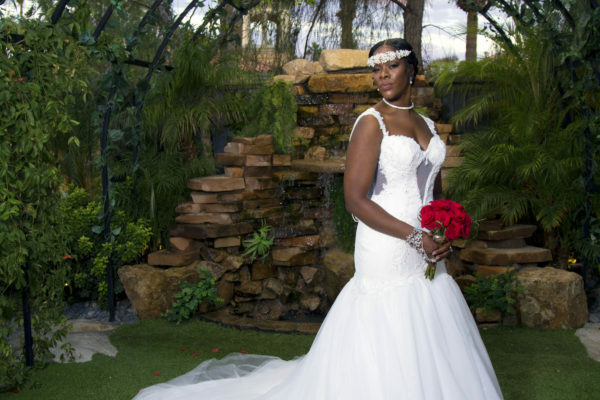 Las Vegas Waterfall Garden weddings are one of a kind at our location! The package is for 30 guests or less. It is $50 for each additional person. A non-refundable deposit required to secure this package is $1,000. The remaining balance is due four weeks prior to your wedding date. There is not a fee to reschedule your wedding date as long as you give us at least six weeks notice. Please contact us for further information.